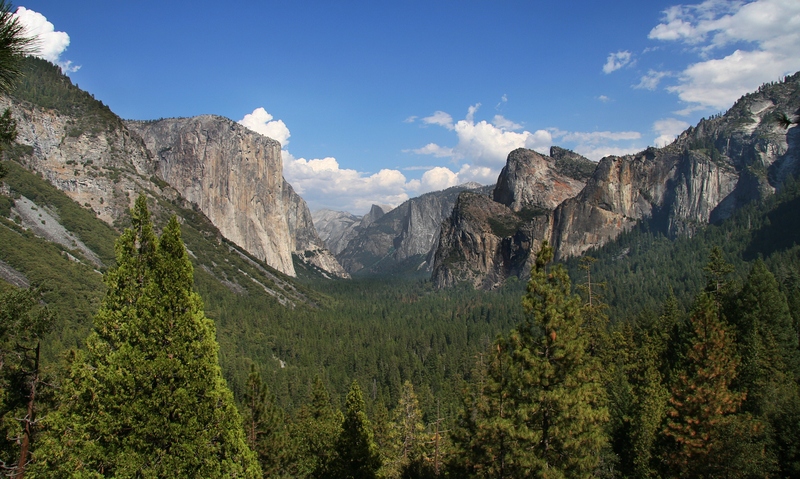 Yosemite National Park’s 1,200 square miles of towering waterfalls, giant sequoias, broad meadows, narrow canyons and rugged mountains have beckoned to visitors more more than 150 years. But the area’s resplendent natural beauty is more than just breathtaking scenery — it’s the birthplace of the modern conservation movement. Walking beneath the majestic cliffs of Yosemite Valley, or amid the giant sequoias of Mariposa Grove, it’s hard to believe that such resplendent nature was once threatened by commercial exploitation and development. But by the late 1800s, overgrazing of Yosemite’s meadows and excessive logging of its sequoias were among the concerns that drove America’s first conservationists — most prominently the legendary naturalist John Muir — to petition the government to set the land aside so that future generations might marvel at its many wonders. That legacy holds true today. Open year round, with a different calendar of activities for each season, Yosemite is a flagship national park in terms of education, volunteerism and of course, outdoor adventure. Click to see a detailed Yosemite National Park map.